Take two minutes to win! 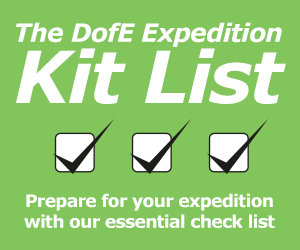 We regularly team up with selected partners to offer you, the DofE network, the chance to win great prizes. From Amazon vouchers to mini breaks, expedition kit bundles to iPhones, we’ve had loads of fantastic prizes won. Enjoy being active? We’ve teamed up with SportPursuit to give you the chance to get great discounts on hundreds of outdoor brands. Sign up to be a member and you’ll get the best deals on top sport and outdoor brands at members-only prices. Once you have created an account, you’ll be automatically entered into a free prize draw for a chance to win one of five £100 vouchers to spend at SportPursuit. Prize draw closes Tuesday 14 May. Fancy seeing your name on this list? Simply enter one of our free prize draws above for your chance to win a fantastic prize from one of our partners. Prize draws change regularly and you can enter each prize draw once – prize draw terms and conditions apply.